Over/Under: Over 155.5 at 1.90 Bet Now! 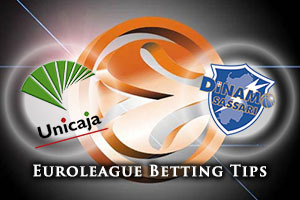 This is another Euroleague game that features the two teams squaring off against each other for the very first time. When you take on board the fact that the home team has a 3-0 record and the away team has a 0-3 record, it should be a relatively straightforward home win in Malaga on Friday night but this is a chance for the Italians to show that they deserve a place in the Euroleague. When it comes to big players for Malaga, Richard Hendrix has been in excellent form this season. This can be seen with the fact that he achieved a performance index rating of at least 10 in his last nine Euroleague games. Hendrix has also managed to grab double figures in his last 7 Euroleague games, so this is definitely a player who is showing excellent form this campaign. He isn’t the only Unicaja player to be on form though and Mindugas Kuzminskas has been at the top of his game so far. The home crowd in the Martin Carpena will be expecting a 4th win in a row this season on Friday. David Logan is the player that Dinamo will look towards this evening. He has sunk at least one three-point shot in his last 15 Euroleague games in a row and he has also scored his last 12 free-throws in a row. Add in the fact that he is leading the early season chart for steals and you can see why there is so much hope and expectation being placed on Logan. However, with three losses out of three, there is definitely a need for everyone on the side to pull together in the hope of grabbing the win that will start the season. 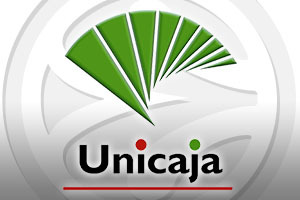 The bookmakers take the home team to be clear favourites and with a handicap of -10.5, at odds of 1.90, you should still find some value in backing Unicaja Malaga. When it comes to the Over/Under market, many people expect goals in this game so look to go OVER 155.5 at odds of 1.90. Bet Now!